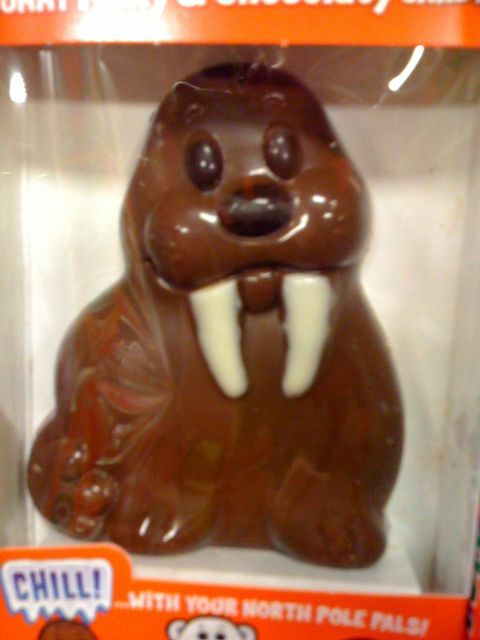 One of the first pieces of holiday items to go on sale… A chocolate walrus. This entry was posted in Uncategorized and tagged walrus. Bookmark the permalink.